The foundation stone of the Carmelite Basilica or as it is called Little Saint Therese Church as well in Keszthely was put in 1927. The final handsel happened in 1938. 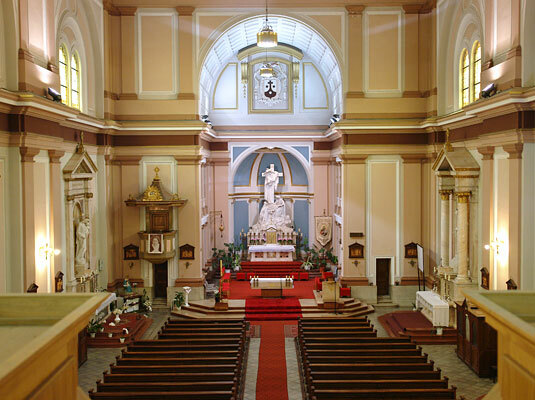 The sizes of the building are really commanding (It was given the rank: Basilica Minor in 1989) . It is 53 m long, 18 m wide, 22 m high. Its tower height is 22 m. The church and the belonging monastery were designed by a Viennese architect called Bruno Bruchwieser. 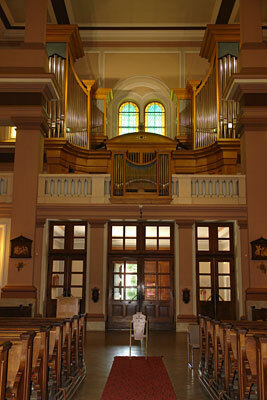 The organ was made by an Angster company from Pécs in 1937. 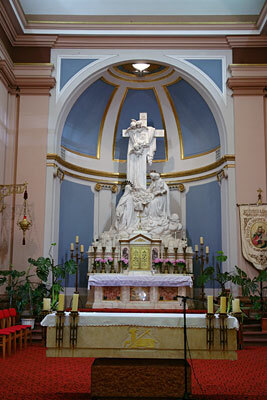 The patron saint of the church is Saint Therese of Lisieaux, the main altar depicts her dedication in front of the infant Jesus being in the lap of the Blessed Virgin. The sculpture was made of marble from Carrara and it is like the other altars and sculptures were made by Lajos Krasznai sculptor. Besides this, six other altars can be found in the church, except for the last one, all of them are the masterpieces of Krasznai. Because of the artist’s death, the last sculpture was made by Károly Lorencz but on the basis of the design of Lajos Krasznai. The other altars are called: the altar of the Blessed Virgin of Kármelhegy, Altar of Jesus’s heart, altar of Saint Joseph, altar of Saint Stephen, altar of Crusade Saint John, alter of Saint Theresa of Ávila. 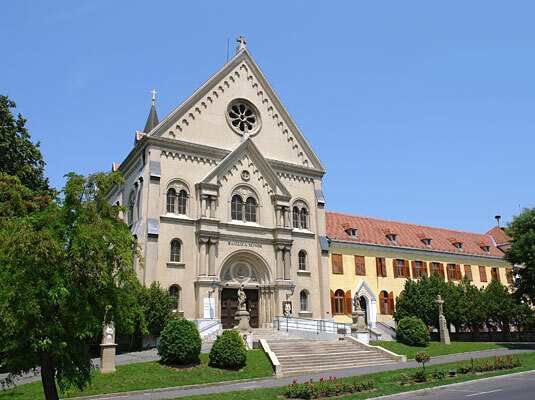 The operation of Carmelite order was banned in 1950 in Hungary they could start the operation with the other religious orders only in 1989. Balatontourist Cam…KeszthelyEntz Géza sétány 1. Hotel OvitKeszthelyAlsópáhoki út Castrum CampingKeszthelyMóra Ferenc utca 48. Hotel KristályKeszthelyLovassy Sándor utca 20. Wellness Hotel Kak…KeszthelyPázmány Péter utca 14. Admiral Hotel***- …KeszthelyPázmány Péter utca 1. (hu) Marton ApartmanKeszthelyKeszthely, Pázmány Péter u. 6. Sebestyén VendégházKeszthelyFestetics út 40. (hu) Palmetta Apar…KeszthelyBercsényi Miklós u. 59. Nádas ApartmanKeszthelyNádas köz 2. Viola VendégházKeszthelyLovassy Sándor utca 11. Toldi68 Apartmenth…KeszthelyToldi u.68 Erika PanzióKeszthelyAdy Endre utca 16. Villa SissyKeszthelyErzsébet királyné utca 70. Barbara Wellness P…KeszthelyZámor utca 2. Tokaji PanzióKeszthelyApát utca 21. Andrea Panzió Kesz…KeszthelyPál utca 3. Silatti Panzió-Apa…KeszthelyRákóczi utca 72. (hu) Keszthelyi VS…KeszthelyMártírok útja 1. (hu) Kati Apartman…KeszthelyPipáskert u. 8.